There have been some pretty impressive group bluefin shots posted over the last few months but this one shot at Fisherman’s Landing last Friday morning is the best one I’ve seen yet. 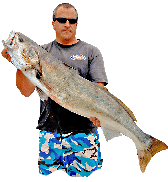 While the big fish bite seems to have died off a bit this week, they’re still around and there are plenty of 20 to 60-pound fish around to take up the slack. With reports like that and good weather in the forecast this weekend, I highly recommend jumping on a 1 1/2 or 2 1/2-day trip if you can. With Thanksgiving coming next week and some wind in the forecast that weekend, Saturday through Tuesday many be your only shot to get out there and get in on this bite for at least a week. You can’t really trust the long term forecast but there are rumors that this wind event will be the first of several in coming weeks. If that’s the case, the next few days could very well be your last chance at bluefin this year. I hope that’s not the case, but it might just be. 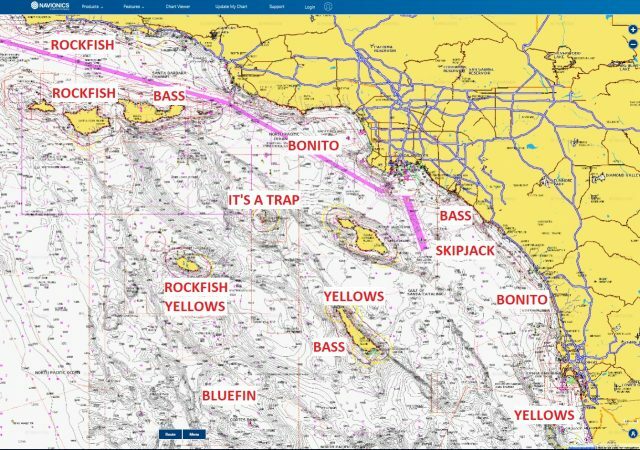 The most noticeable change to this week’s Navionics Chart is that I removed the arrow pointing to the southern yellowfin tuna bite because it’s moved far enough out of range that the sport boats have given up on it. In the meantime, there have been some yellowfin caught this week in U.S. waters but the only info I have as to where they are is two weeks old so I’m not going to bother sharing it. I did see skipjack and marlin between Catalina Island on Saturday though and the water from the coast to Clemente is clean, blue and above 65-degrees so there really isn’t anywhere that you might not find fish, if that helps. The bass fishing at San Clemente Island was way better than it’s been but still slow and we did find some yellowtail at the 9 but there were too many barracuda to effectively target them. Did have a couple yellows chase the surface iron the few times I was able to keep it out of a big barracuda’s mouth for more than 30 seconds. Had two other friends fish the island as well and everyone had okay calico fishing with most bites coming shallow. Speaking of shallow, my friends Gary Reyes, Mike Bonhoff and Jay Jones decided to take the Dirt Clod Challenge Saturday and were rewarded with good weedless bass fishing for their efforts. 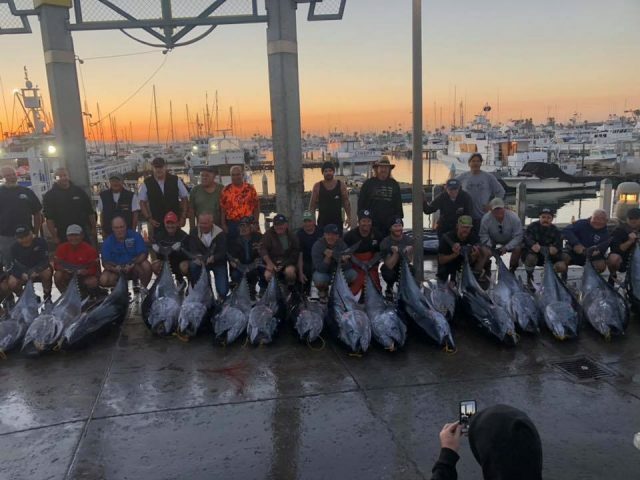 While they were all smiles in the photos they shared after the trip, the joke was actually on them because the dirt clod now has it’s hook firmly planted in their jaws, guaranteeing that they’ve got multiple miserable and fishless trips in their future. If you haven’t already made the mistake of going there, take my advice and just don’t do it. It’s a trap. In other news, the rockfish are biting for boats fishing the Channel Islands. The calicos are also biting for the guys who are actually fishing for them. Boats have started fishing San Nic again and have been catching a few yellowtail as garnish to the rockfish main entree. There hasn’t been much happening at Catalina Island but I’m probably going to head there on Saturday, so I’ll let you know how it went next week. The bonito are still biting along the coast with the best action found in the Santa Monica Bay and around Oceanside. The water along much of the coast is very clean right now which is making for some tough bass fishing. I fished both above and below Newport Harbor on Monday and had very slow fishing at the Newport Pipe and off the cliffs in Huntington. 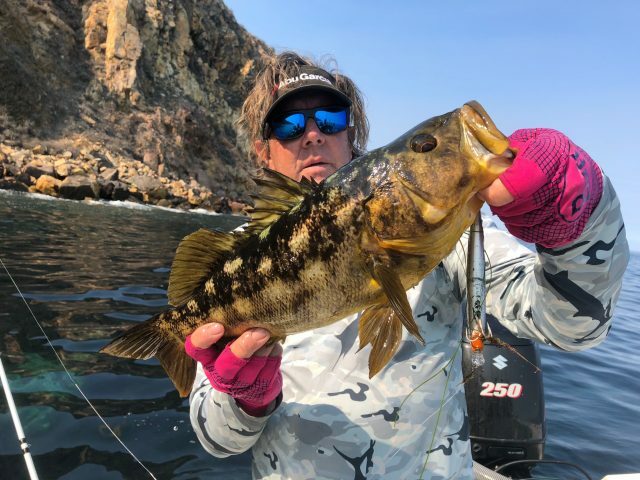 The calicos were more cooperative down south and we ended up with 20 plus fish on hardbaits fished in 8 to 15-feet of water off Corona Del Mar. 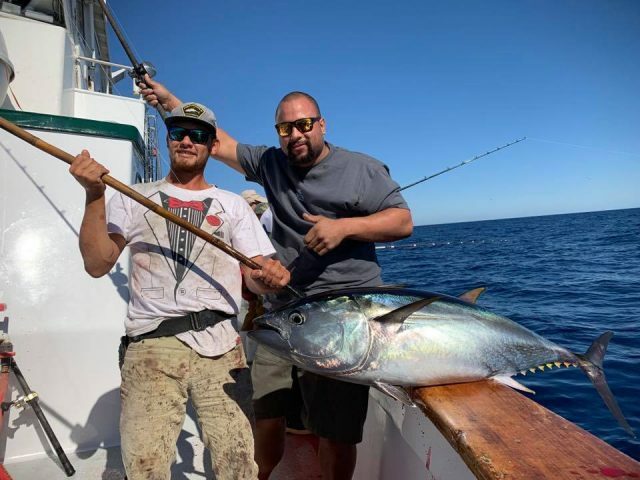 Finally, there are still some yellowtail biting at the Coronado Islands but the fish are deep so your best bet is to jump on a 3/4-day trip and bring your yo-yo rod. Get more reports and fishing tips from Erik’s SoCal Scene on BD.